A startup based in San Francisco wants to disrupt the way you shower. Its flagship product, the Nebia Spa Shower System, uses up to 70% less water than a traditional shower head. The company is backed by Tim Cook and Eric Schmidt. You might spend $US699 on a new iPhone 8, but would you shell out that much for a shower? Nebia, a startup based in San Francisco, wants to disrupt the most intimate part of your morning routine. Its debut product, the Spa Shower System, surrounds users in a warm cloud of mist and uses up to 70% less water than a traditional shower head. It costs $US649. Most shower systems, with their rain heads and removable wands, are priced between $US100 and $US400 at Home Depot. 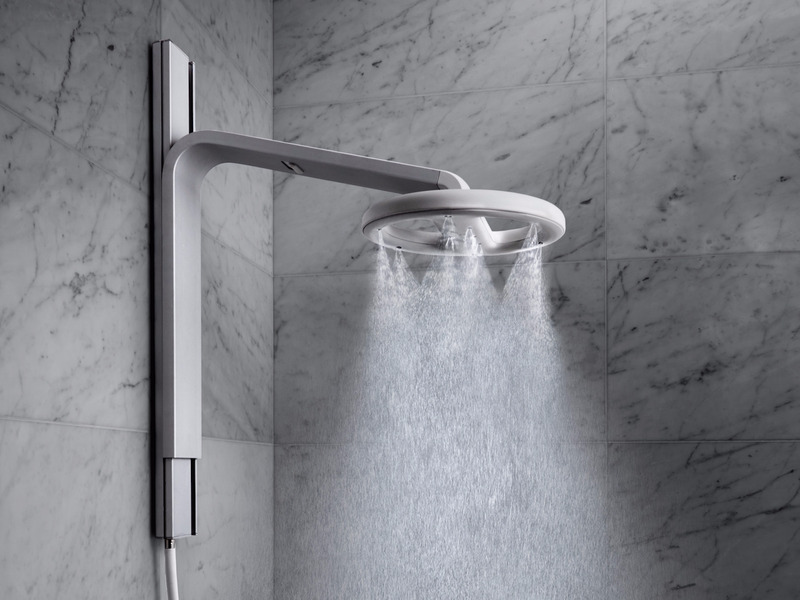 “We’re introducing a totally new kind of shower experience,” said Nebia CEO Philip Winter. The company counts titans of tech, including Apple CEO Tim Cook and Google chairman Eric Schmidt, among its investors, and is on a mission to disrupt the way people consume water. The Nebia Spa Shower System filters a stream of water through a surface that creates millions of tiny droplets, which in turn covers 10 times the surface area of a traditional shower head, according to the company. By creating more droplets from less water, Nebia promises a more efficient shower experience that doesn’t sacrifice water temperature or pressure. The system has been in development for three years. And it required about 1,000 people — including Cook and Schmidt — to strip down and take a shower to make sure it worked. NebiaPhilip Winter, cofounder and CEO of Nebia. “A thousand people is not an insignificant number. It’s not like you can share a link to you app and say, ‘Try it at home! '” Winter said. Nebia partnered with local Equinox gyms, as well as Google, Apple, and Stanford University, to set up prototypes in their locker rooms. Nebia’s cofounders sat at tables outside where they would interview volunteers about their experience. 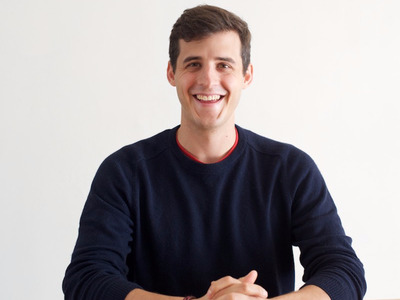 Cook, the company’s first angel investor, might be the company’s biggest fan. “He loved it immediately,” Winter said. Winter, who previously worked at a startup that made composting toilets for the developing world, said the Nebia Shower System is something you have to experience to believe. The company has a showroom in the back of its San Francisco headquarters where people can book an appointment time and pop in for a shower. Bath products and towels are provided. The $US649 price tag, which comes with a one-year warranty, may be prohibitive for most. Winter likens the company’s trajectory to that of Tesla, which has introduced more affordable vehicles through the years as the cost of manufacturing them came down. Nebia expects to do the same. Customers will recoup part of the cost with use. A person living in New York City who takes a 10-minute shower daily can expect to save about $US125 in water and gas heating annually, according to the website. The savings rise to $US177 in San Francisco and $US137 in Seattle.